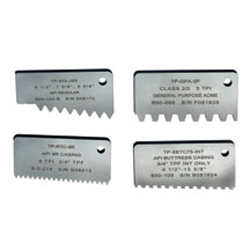 Thread Check Inc. offers a wide range of standard and special Gagemaker Thread Profile Template Gages for straight threads. Inspecting the thread form is a critical part of thread inspection. 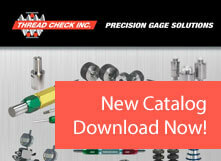 Gagemaker precision thread profile gage templates will quickly and easily check the thread form for alignment errors. 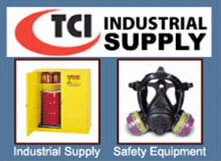 Profile gauges can check for stretched threads, wide first threads or rolled over threads. If a threading insert is aligned with the part incorrectly, the profile template will quickly identify this problem. Thread profile gages are a simple and economical way of inspecting for defects in threads. The profile template will also detect chipped or worn inserts by displaying light in the area of non-conformity. Thread profile templates are important tools that are both economical and easy to use. Thread profile gages are manufactured to tolerances of +/- .0002" using EDM cutting technology. Thread Check offers a comprehensive line of straight thread profile gages for Unified inch and metric, Buttress, Acme, Modified Acme, and Stub Acme threads. Thread Check’s sales and engineering staff are pleased to offer assistance with all sales and technical questions regarding thread profile gages. Thread Check also provides ISO 17025-standard calibration at our Registered Metrology facility. We perform calibration services on snap gages, profile gauges, fixed-limit gages, chrome plug gages, metric thread gages, API thread gages, surveillance masters, Gagemaker Instruments and many electronic measuring instruments and test equipment. For information on any of our products and services, please contact us at (800) 767-7633 or submit this form for prompt assistance.